Leonard Comma, Chief Executive of Jack in the Box, is investing as much as $45 million over the next three years on digital menu boards and canopies to make the fast-food chain’s drive-thru lane experience faster and more personal. Quick-service purveyors across the nation, such as Starbucks Corp. and Dunkin’ Brands Group Inc. are also changing how they view their real estate by collectively spending tens of millions of dollars to let people eat in their cars as customers increasingly demand speed and convenience. 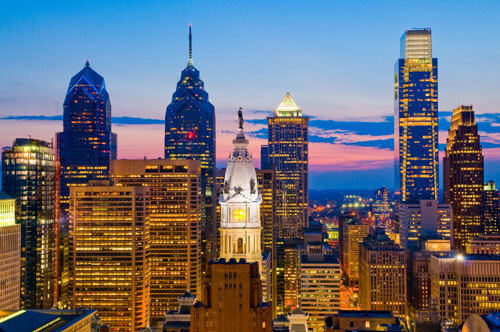 This Co-Star Research report involving national and Philly retail space is being made through Philadelphia commercial real estate broker Wolf Commercial Real Estate, a Philadelphia commercial real estate brokerage firm. Starbucks, which said in its Nov. 1 earnings call that it plans to build 600 new locations across North America in 2019, adding to its roster U.S. and Philly retail space listings, is expanding a push it began last summer to equip about 80 percent of all new stores with a drive-thru lane. Many of those won’t have interior seating, resulting in a much smaller store footprint. Drive-thru, out-the-window and mobile-order-and-pay combined accounted for more than 50 percent of all orders in the U.S. commercial real estate market, including Philly retail space, in the past three months, up more than 10 percentage points in two years, Starbucks Chief Financial Officer Rosalind Brewer said. Last summer, Seattle-based Starbucks said sales were 25 percent to 30 percent higher at stores with drive-thru lanes. Competitor Dunkin’ Brands Group, based in Canton, Massachusetts, said the drive-thru restaurants among its national and Philly retail space listings boast 40 percent higher sales volume. For more information about Philly retail space or other Philadelphia commercial properties, please call 215-799-6900 to speak with Jason Wolf (jason.wolf@wolfcre.com) at Wolf Commercial Real Estate, a leading Philadelphia commercial real estate broker that specializes in Philly office space, Philly retail space and Philly industrial space.